Theology of Work Project helps Christians across the globe connect the Bible and their everyday work. Human work is meant to fulfill God’s creative intent, bring each person into relationship with other people and with God, and glorify God. Psalm 104 gives a delightful description of our creative partnership with God through work. Read more from the Theology of Work Bible Commentary. God’s mission is not primarily about getting people more involved in what churches are doing, but getting churches more involved in what God is doing in the world. Read about why it's important to include work when you preach, and learn a few tips to get started. Read now. Sermon notes from a wide variety of preachers—including Tom Nelson, Todd Bolsinger, Alistair Mackenzie and more—give you ideas on how to introduce your church to faith and work. Read now. A YouVersion reading plan, God's Good Idea: Work, translated into Chinese. Read now. Calling: a Biblical Perspective eBook, translated into Spanish. Read now. Help Us Finish '18 Strong! We're grateful to God that we've accomplished many of our 2018 objectives to help people engage with the Bible's wisdom for their work. 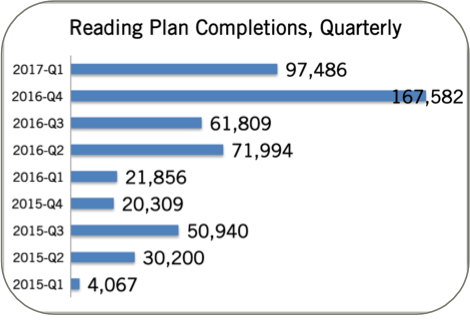 In fact, this year, we hit a cumulative 1 million completions of our YouVersion reading plans! pilot curriculum that will help people who are unemployed connect with God's word as they build job search skills. We ask that you prayerfully consider joining us in this work! We updated our website design and made speed upgrades to improve your experience. 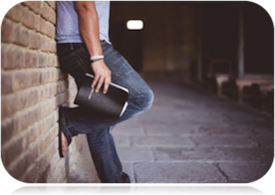 Be sure to check out our new pages for workplace Christian resources, pastors’ resources, and seminary resources. What does the Bible say about work? How should Christians work? 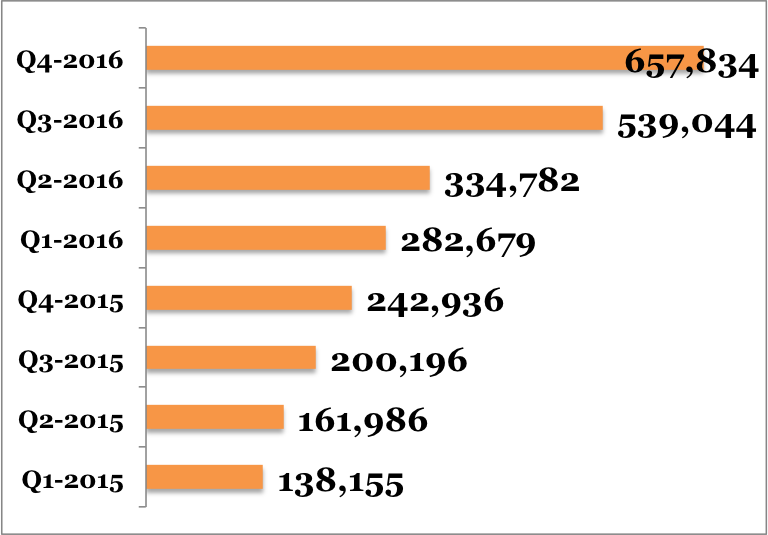 Believe it or not, there are 859 Bible passages that relate to work. Here are 15 verses about work to give you hope that your daily work has value. Read more. People around the world are hungry for biblical teaching about work. Thanks to the work of partners and volunteers, TOW Project is honored to be a discipleship resource for an increasing number of working Christians. 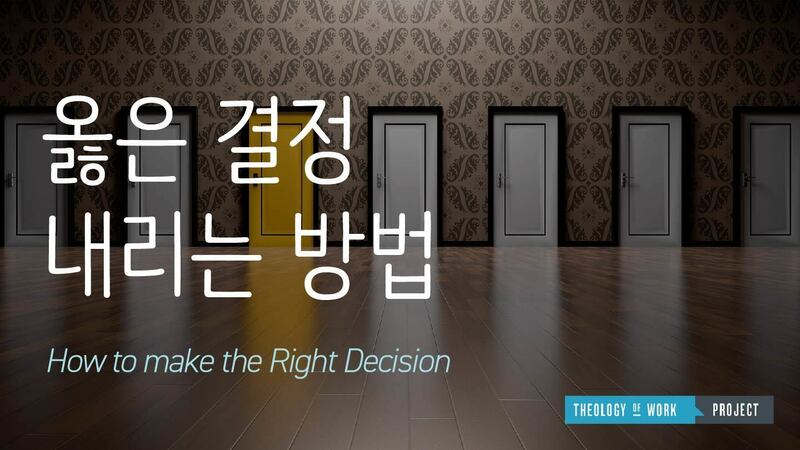 Some of our most popular devotional reading plans, including Making the Right Decision and Working Through Failure, are now available in Korean through the YouVersion Bible App. Thanks to The Grace and Mercy Foundation for translating these plans. 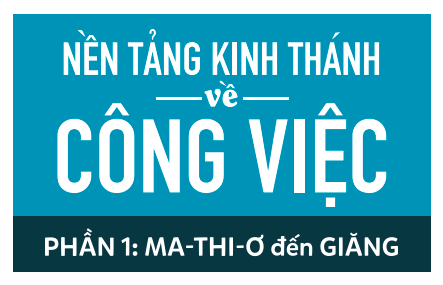 The Theology of Work Bible Commentary on Matthew, Mark, Luke and John is now available in Vietnamese. Thanks to the volunteers who made this possible! Download the translation here. In partnership with Oikonomia Network, we trained over 35 faculty from 3 seminaries—Asbury Seminary, Assemblies of God Seminary, and Western Seminary—helping them find ways to integrate work in their current curriculum. In partnership with the Made to Flourish pastors’ network, we hosted an online workshop series, “The Church at Work”, to discuss how churches across the globe are equipping people for work. We also hosted a breakout session, “Theology of Work Resources Made Easy”, for Made to Flourish’s national stakeholder meeting. The Theology of Work Project is a non-profit organization. Every resource we offer is made possible through the financial support of people like you. With your gift of any size, you’ll enable us to continue equipping Christians to connect to God’s purposes for work. Donate now. What do engineers pray for? 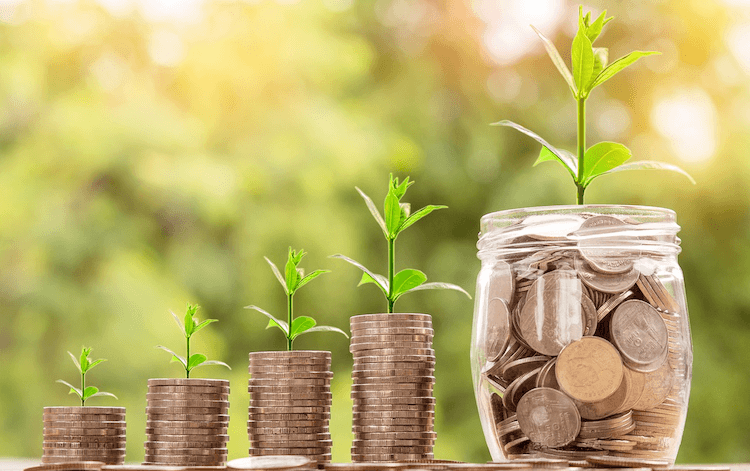 How do finance professionals bring faith to their work? Do Christians in food service see work as a calling? In this video series, Sean McDonough explores the New Testament precedents for modern industries and asks working Christians “What does Jesus have to do with your job?” The series is available for free here. 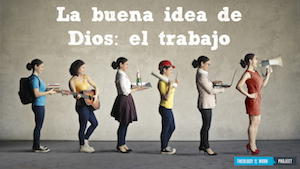 One of our most popular devotional reading plans, God’s Good Idea: Work, is now available in Spanish. Read La beuna idea de Dios: el trabajo for free. Grounded in God’s call to us in Scripture, this book will help you explore God’s purposes for your life’s work. Soul Purpose includes a workbook that will help you unpack and tell your unique story. You’ll look at your personality, knowledge, talents, skills, spiritual gifts, and finally, your values, desires and passions. 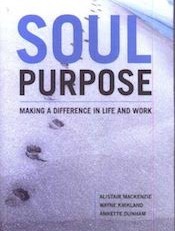 Read Soul Purpose for free. This book is all about making decisions that are consistent with our Christian faith – especially in the workplace. 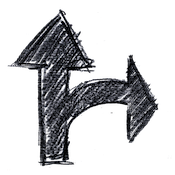 In Just Decisions, a case study will help you look at the three most common approaches among Christians for making moral choices. You will consider what the Bible has to say about each of these approaches. Then, you’ll explore combining the three to gain a balanced and integrated approach to decision-making. Read Just Decisions for free. The Theology of Work Project is a non-profit organization. Every resource we offer is made possible through the financial support of people like you. With your gift of any size, you’ll enable us to continue equipping Christians to connect to God’s purposes for work. Thank you for being a part of this movement of God in the world of work. We ask that you continue to keep us in your prayers and charitable giving in 2018 as we continue to equip Christians to connect to God's purposes for work. Getting kids to do chores is enough to test any parent’s faith. If you’re fighting with your child over mess, then this plan is for both of you. Each day starts with a kid-friendly story of a parent and child chore negotiation. Read it with your son or daughter to learn biblical ways to approach the subject of chores together. Start reading for free now or see our full series of plans for kids and parents here. You’ve put in your all, only to see a project fail because of others. It’s tempting to blame them and turn your back completely. But that won’t help you succeed, and it can hurt you spiritually. The book of Nehemiah offers a way to move forward when other people fail you. This plan contains practical suggestions and spiritual encouragement so you can keep working with excellence in spite of failure. Start reading for free now. The tensions that arise between people at work can break important relationships, hurt your career, and ruin your ability to share your Christian faith with coworkers. This plan uses Esther’s example to teach you a healthy approach to addressing workplace conflict and even turn it into an influence booster. Start reading for free now. The Theology of Work Project is celebrating 10 years of helping Christians connect faith and everyday work! You can be part of a movement to empower Christians to bring glory to God in everyday work! For a limited time only – through 2017 - a generous donor is matching every dollar you give, up to $100,000. We are at 65% of this goal! $35 becomes $70. $500 becomes $1,000. Don’t miss this chance to double your impact! Click to learn how to donate today. The Theology of Work Project is a non-profit organization. The demands, pressures and stress of work can put a huge strain on relationships with our coworkers. 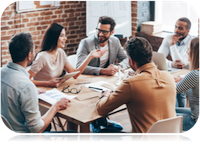 This plan provides simple steps you can take to be more loving to your coworkers that will transform those relationships and increase both joy and productivity at work. Produced in partnership with Workmatters. Find it for free here. Hope When School is Hard. 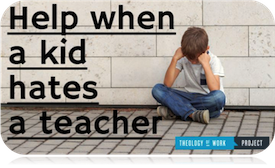 Your kid said, “I hate school” or “I’m no good at math.” You need God’s help. Read this plan together, or listen to it in the car on the way to school. You’ll hear Jesus’ words driven home through the story of one kid’s struggle with school. Suggested activities each day help parents and kids connect to hope together. Find it for free here. Help When a Kid Hates a Teacher. A teacher can make a kid’s day, or break a kid’s spirit. If your child doesn’t get along with a teacher, read this plan together, or listen on the way to school. The Bible offers practical advice to help a kid who’s struggling with authority. That includes praying for teachers, learning to speak with respect, and looking for ways to help out. Find it for free here. 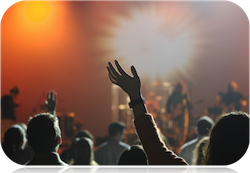 Pastors and worship leaders now have a go-to collection for Sunday morning worship resources. We’ve added over 200 new items to help you help churchgoers connect worship with their workweek. There are sermons, sample services, biblical readings and quotes. For leaders in a hurry, we have “quick pick” lists of prayers, hymns, and contemporary songs. Visit Worship Resources page to check it out! Working women wrestle with a number of challenges, from obstacles to leadership and dealing with discrimination, to managing family life and establishing healthy rhythms of work and rest. What biblical wisdom can women draw from to meet today’s workplace challenges? Check out our latest, new 7-day devotional for women, Overcoming the Challenges of Working Women, available right from your phone with the YouVersion Bible App. And if you missed it previously, check out our 6-day devotional for women Created and Called: Women in the Workplace. This plan starts in Genesis with God's original call to work, then explores biblical examples of women who work. ​By bringing individuals committed to their cities together for an innovative and interactive learning experience, cg2017 will empower the local church as a primary agent of cultural renewal for the common good. Together at the conference, we’ll explore how to seek the common good of our neighborhoods, workplaces and cities. Early bird registration ends August 31. Go to www.madetoflourish.org for details. The Common Good Conference is hosted by Made to Flourish. Click to find out how to donate now. 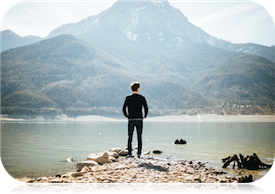 The Theology of Work Project is partnering with Teen Challenge to pilot curriculum that helps recovering addicts and former inmates understand how work fits into God’s story for their lives. The program couples Teen Challenge’s job curriculum with a Bible-based small group curriculum written especially for Teen Challenge by TOW Project. Lessons include Does God Care About My Work? ; What’s a Calling?, Getting Past the Past When You Have a Record; Bosses, Good and Bad; Money; and Fights with Coworkers. The curriculum has already been implemented at two Teen Challenge centers and will soon be network wide. Bible Gateway, the world’s largest online Bible site, added the Theology of Work Bible Commentary to their online study library and Study Tools bar, making our commentary available to millions of readers. With the Study Tools bar, users can read the Bible passage they’re studying right alongside the TOW Commentary. Theology of Work Project pilots and publishes small group studies on essential work-related topics. We’ve started with two studies: Sabbath and Work, and Work Life Balance. Both are available at www.theologyofwork.org/small-group-studies for free. 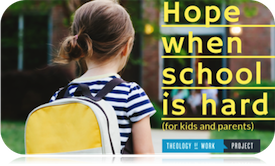 In Spring 2017, we also partnered with the Center for Transformative Work to publish their curriculum God’s Story of Work for Kids at theologyofwork.org, free of charge. This partnership answers a prayer we’ve long expressed at TOW Project, to offer an engaging, biblically sound curriculum that helps children develop a godly understanding of work. They can be done right from your phone with the YouVersion Bible App. TOW Project's YouVersion plans were completed over 97,000 times in the first quarter of 2017. 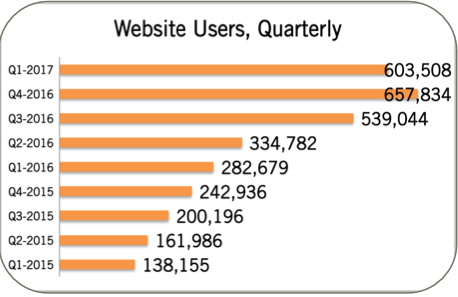 The TOW website served over 600,000 users in the first three months of 2017. TOW Project Executive Editor Will Messenger and Steering Committee member Alistair Mackenzie travelled to New Zealand to speak with churches, young professionals and new pastors about how to integrate faith and work. Mark Roberts, TOW Steering Committee member and leader at Fuller’s DePree Center of Leadership, spoke about TOW Project at gatherings for the Evangelical Covenant Order, the Presbyterian Church (USA) annual conference, and Fuller alumni events. TOW staff and Steering Committee members presented at events hosted by InterVarsity’s MBA ministry, Asbury Theological Seminary, Westmont College, Seattle Pacific University, Nashville Institute for Faith and Work, New Canaan Society, Made to Flourish, Redeemer City to City, and the India City Advance Program. The Oikonomia Network (ON) is a community of theological educators and seminaries. Theology of Work Project was a featured sponsor at ON’s Karam Forum in March 2017, a 2-day gathering for ON members. In addition, TOW provides practical insights for integrating faith and work into seminary curriculum through ON’s monthly newsletter. 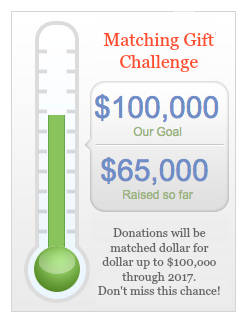 Thanks to a generous donor, for a limited time, your donation will be matched dollar for dollar, up to $100,000. Take advantage of this exciting opportunity to double your impact! Traffic on the Theology of Work Project site has been fueled by search engine optimization, website improvements, and the addition of The High Calling to the TOW Project family. In 2016, the site server over 1.7 million readers, making it the most highly trafficked faith and work website in the world. 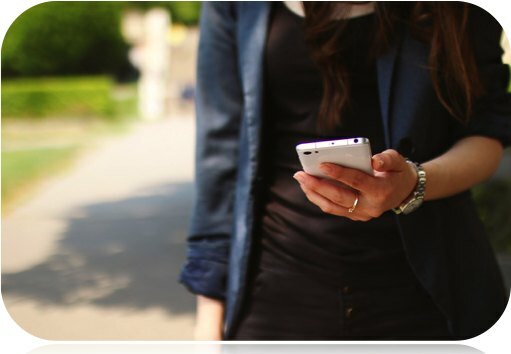 The Theology of Work Project partners with YouVersion Bible App to provide devotional plans that users can complete right from their phones. Readers dig deep into what the Bible offers about topics such as How to Make the Right Decision, What Does the Bible Say About Calling?, Working Through Failure, and Ambition & Your Work. In 2016, two of TOW Project’s plans were among YouVersion’s most completed plans of the year, with over 100,000 completions each. 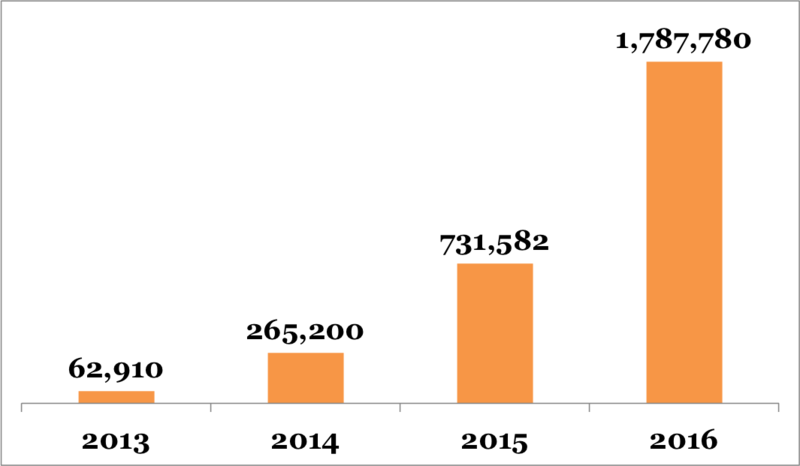 In total, our plans were completed 323,000 times in 2016. 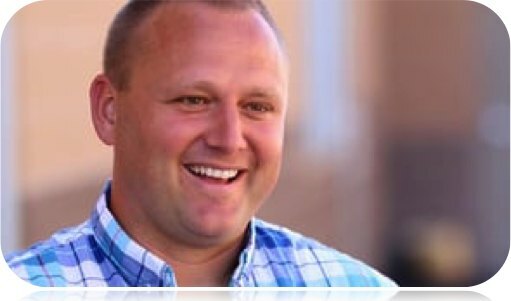 Trevor Lee is a pastor and a member of Made to Flourish, a growing network of pastors connecting faith and work. At 1,000 members, it is the largest U.S. organization of its kind for pastors. Made to Flourish licenses the Logos eBible version of the Theology of Work Bible Commentary for all of its members. The Theology of Work Project has conducted trainings at Made to Flourish’s national and regional conferences. The Oikonomia Network is a community of theological educators and seminaries equipping pastors to help people connect their faith and work. ON has licensed the Logos eBible version of the Theology of Work Bible Commentary to distribute to 2,500 seminary faculty and students. Four churches are piloting TOW Project small group curriculum, with requests from many more. Curriculum will be available for free on our website. The Korean translation of the TOW Commentary is up and running, and pilots have begun for Chinese and Italian versions. Seminaries including Fuller, Gordon Conwell, Biola, Bethel and Seattle Pacific have adopted the Theology of Work Bible Commentary into their curricula. In 2016, TOW board members were featured speakers at events such as the Faith at Work Summit, The Gospel Coalition’s Women’s Conference, and Moody Theological Seminary’s Lectureship on Faith and Work Integration. If you are interested in having a TOW representative speak at your event, please contact us. 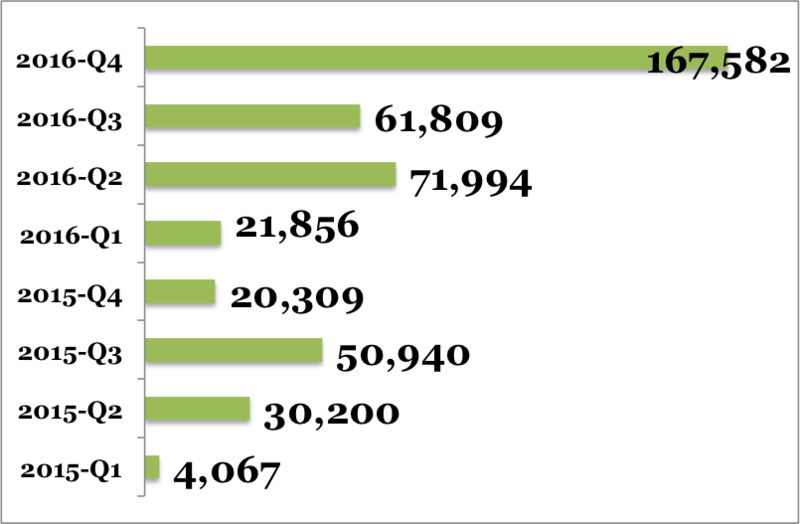 The Theology of Work Project website served over 650,000 users and received over 1,000,000 pageviews. We released 3 new YouVersion devotional plans: Love Your Coworkers, How to Make the Right Decision, and Created and Called: Women in the Workplace. How to Make the Right Decision was promoted as a "featured Plan" on the YouVersion app and highlighted in YouVersion's newsletter, going to 22+million English users. YouVersion plans were completed over 167,000 times in the fourth quarter.